Sold Secure Gold Hardened 10mm Square Link Chain. 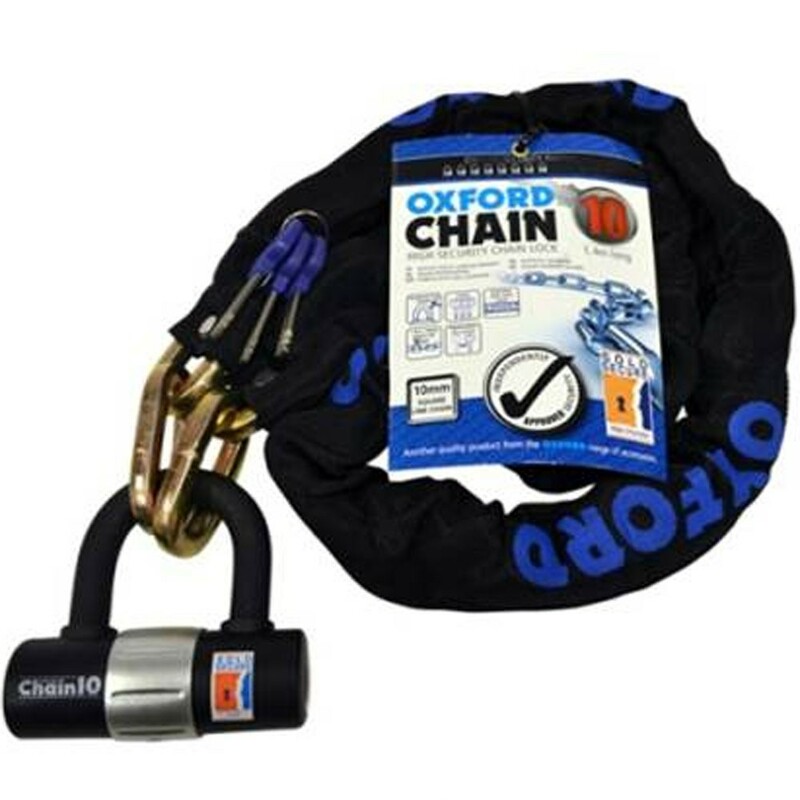 Tough Double Locking Padlock With Hardened Steel Shackle. Key Dust Cover Included.